The ICP in Bassetlaw is a partnership of chief executives and senior leaders from BCVS, Bassetlaw District Council, NHS Bassetlaw CCG, Doncaster and Bassetlaw Teaching Hospitals NHS Foundation Trust, Healthwatch Nottingham & Nottinghamshire, Nottinghamshire County Council, Nottinghamshire Healthcare NHS Foundation Trust and three Primary Care Networks. 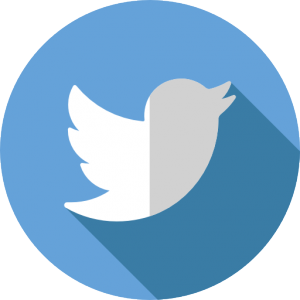 Underpinned by a memorandum of understanding, through the ICP the Board support the district’s three Primary Care Networks, overseeing the performance of the partnership, and enabling developments and strategy best delivered at place level, for all Bassetlaw’s 116,000 residents. 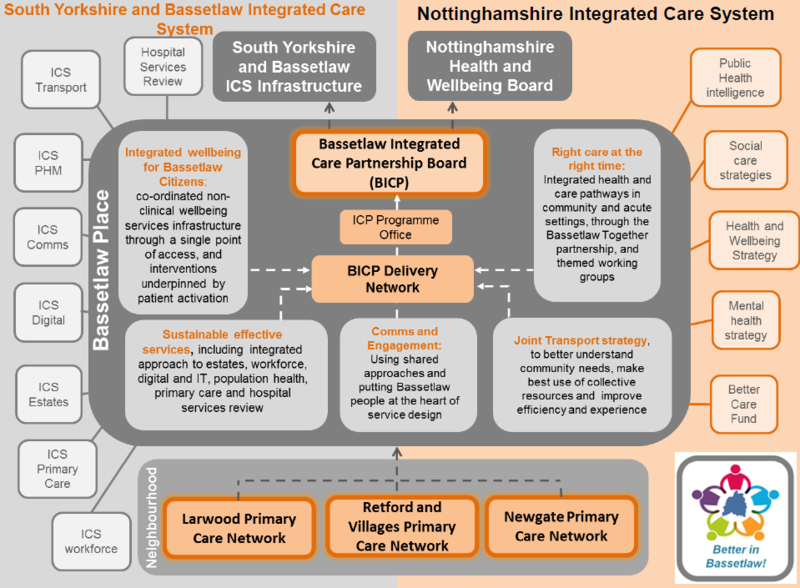 The ICP also locates place-based developments within the South Yorkshire and Bassetlaw shadow Integrated Care System (sICS) which brings together the partners that plan and deliver health and care services from across Bassetlaw, Doncaster, Rotherham, Barnsley and Sheffield, and the Nottinghamshire Sustainability and Transformation Partnership. The Bassetlaw Place Plan 2019-2021 sets out the strategic direction for the ICP in Bassetlaw, and focuses on priorities most appropriately led at place level. The ICP priorities are those identified by Bassetlaw partners as those where by working across NHS, local government and voluntary sectors and beyond, the greatest impact on the ambitions for healthy individuals families and communities can be achieved, that would not be possible without such collaboration. This will realise the vision for the Bassetlaw place, to deliver improvement in experiences, health and wellbeing for Bassetlaw citizens by 2021, through simpler, integrated, responsive and well understood services which ensure people get the right support at the right time. Using the lived experience of Bassetlaw people, partners are working together on shared projects and initiatives on the following priorities as outlined in our ‘alignment model’ below.